Swedish player, Benjamin McCabe bettered his career's high break from 81 to 90. The break came in fourth frame which helped him to level the match 2-all with Australia, Steve Mifsud. Benjamin had a great chance to score first century of his career but failed to create memorable moment by missing the third-last red ball. 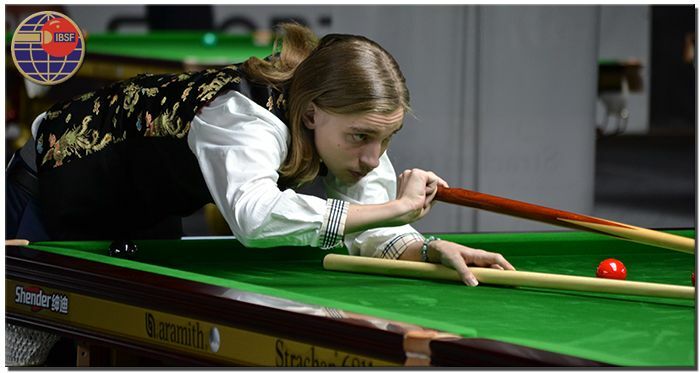 Though Benjamin lost the match 3-4 but will remember this match for recording high break so far. Welsh player, Lee Walker won his match in straight set of frames 4-0 defeating Batsukh Baldandori of Mongolia. Like another Welshman, Darren Morgan, Lee Walker also produced big breaks and wrapped the proceedings pretty fast. 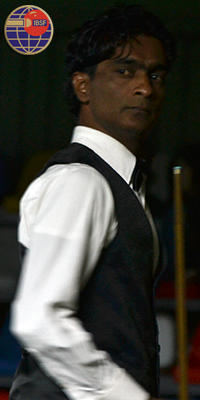 He crafted 104, 69 and 96 in second, third and fourth frame respectively to seal the match 4-0. The last match of the day had a close finish where hard efforts of Sri Lankan player, Susantha Botheju went in vain because of his casual approach in the decider frame. He lost the match to Ryan Causton from England 3-4. Susantha played a decent game and made it 3-all from trailing 1-2 but failed to give a steady start in the decider and missed red pot after scoring 12 points only. Ryan was waiting for that chance only and imposed a break of a 79 points to edge out helpless Susantha. Disappointed Susantha admitted that he shouldn't have missed that red pot.